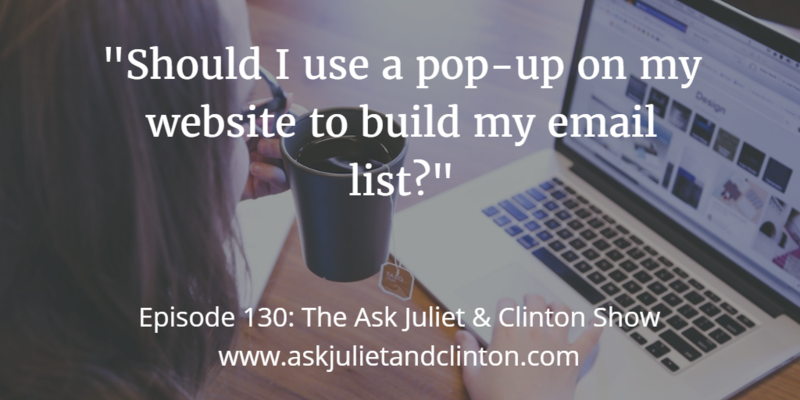 In this episode, Juliet and Clinton answer the following questions: 1) Should I use a pop-up on my website to build my email list? 2) Where can I host audios and videos if not on my website? 3) How do you deal with the pressure of not making enough money? 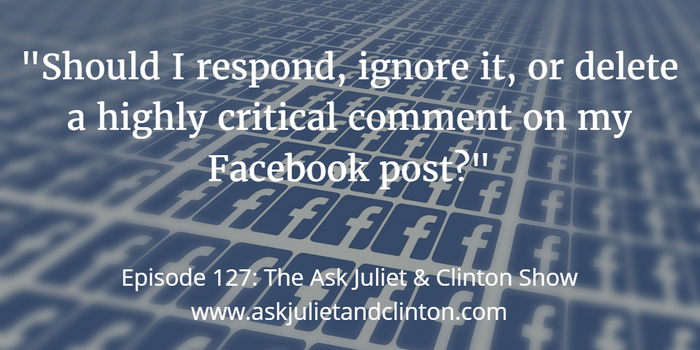 In this episode, Juliet and Clinton answer the following questions: 1) Should I respond, ignore it, or delete a highly critical comment on my Facebook post? 2) Should I allow someone to re-publish my blog posts on their site? 3) How much money should I spend on marketing my business each year? 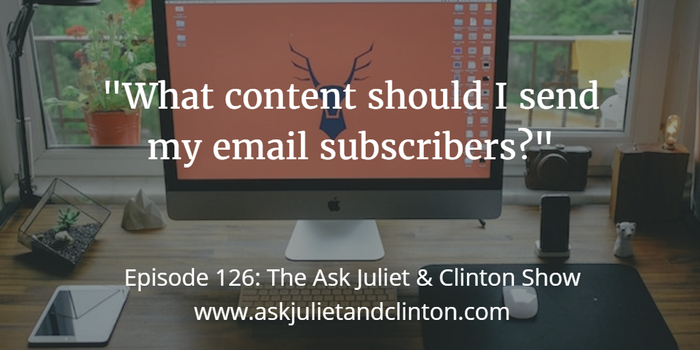 In this episode, Juliet and Clinton answer the following questions: 1) What content should I send my email subscribers? 2) How long should an ebook be if I want to sell it? 3) Is a webinar a good way to grow an email list? 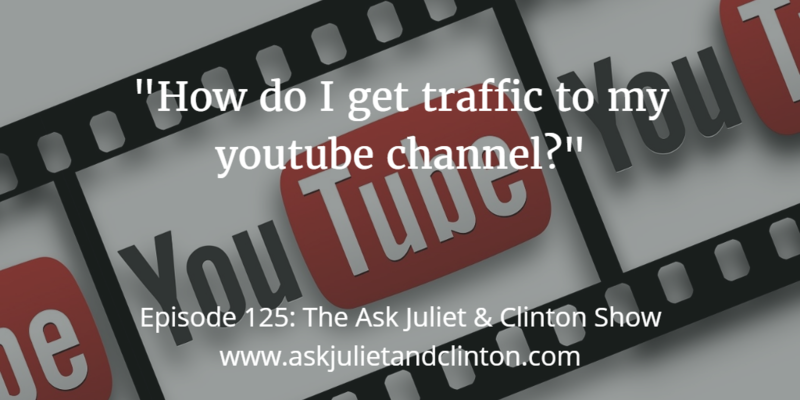 In this episode, Juliet and Clinton answer the following questions: 1) How do I get traffic to my youtube channel? 2) How can I market my ebook? 3) Can I take music I like and add it to my welcome video? Episode 124: How can I build a practice while working full-time? 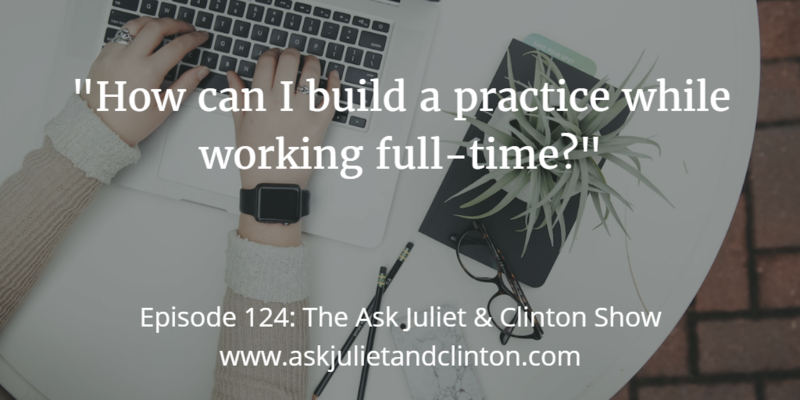 In this episode, Juliet and Clinton answer the following questions: 1) How can I build a practice while working full-time? 2) When is it time to get a bookkeeper for my business? 3) How can I manage spam comments on my blog? 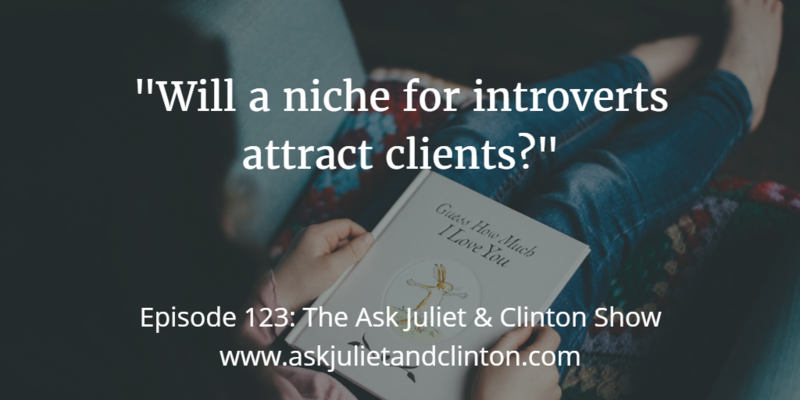 Episode 123: Will a niche for introverts attract clients? 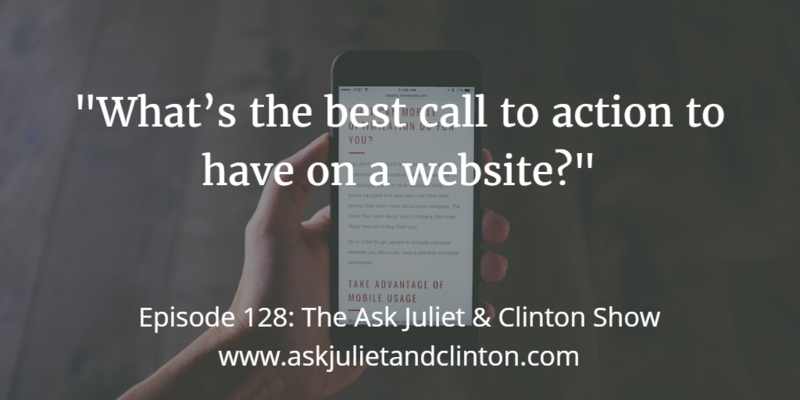 In this episode, Juliet and Clinton answer the following questions: 1) Will a niche for introverts attract clients? 2) Why was my Facebook Ad not approved? 3) How can I have one marketing message that works for 2 niches? 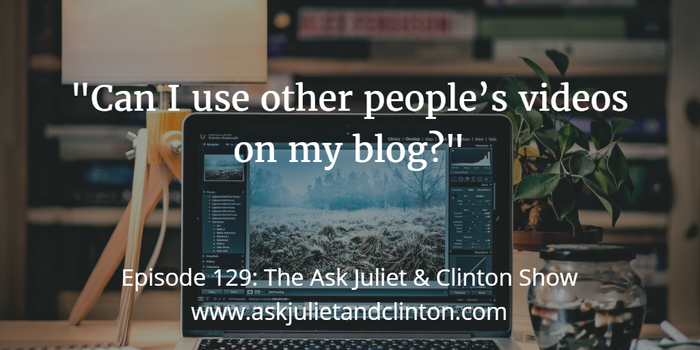 In this episode, Juliet and Clinton answer the following questions: 1) How do people come up with ideas for blog posts on a regular basis? 2) Should I have blog posts on my blog when my new site goes up? 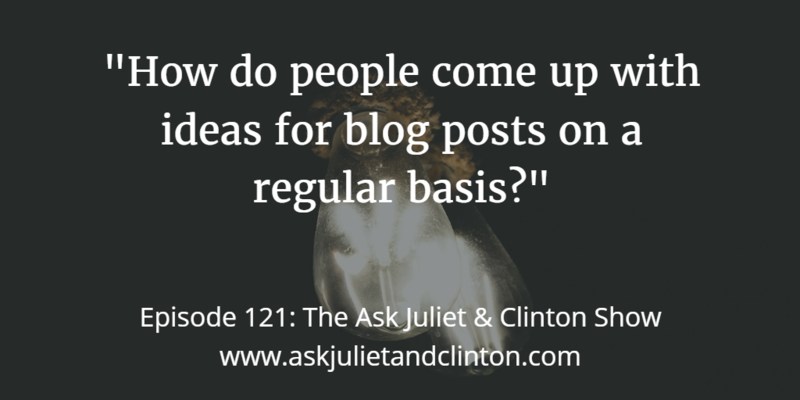 3) What are the pros and cons of accepting guest posts on my blog?